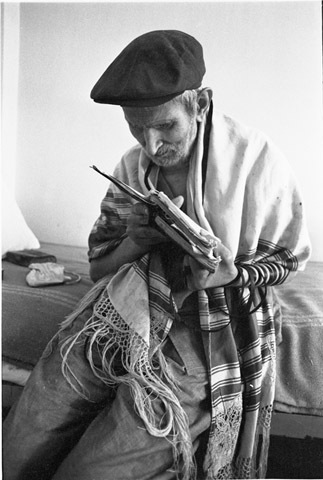 JDC - Archives : Man wears a tallis and reads a book in Tunisia. At prayer in the OSE Home for the Aged in Tunis. Title Man wears a tallis and reads a book in Tunisia. At prayer in the OSE Home for the Aged in Tunis. Description Man wears a tallis and reads a book in Tunisia. At prayer in the OSE Home for the Aged in Tunis.